A California Men’s Colony guard who sold contraband to inmates was sentenced to 30 days in jail for accepting a bribe. Kevin Jon Venema, 50, pled guilty to one count of accepting a bribe. In September, CMC internal affair’s investigators asked Venema to respond to allegations he was selling tobacco and cellphones to inmates. A search revealed Venema had three bags of tobacco in his lunchbox, six cellphones hidden inside his protective vest and several prescription drugs in a container. In his vehicle, investigators found 24 rounds of .38-caliber bullets, a machete, an altered protective vest and several pocketknives. Venema told officials he had been going through a “dark period,” because of a divorce, financial issues and a child’s battle with leukemia. 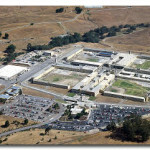 California prison inmates are not permitted to have cell phones, tobacco or drugs. Even so, cell phones have become abundant in prisons. In 2010, prison officials confiscated 10,761 cell phones inside California prisons. This clown should lose his retirement or have it severely reduced. When government employees decide to break the law like this it should really hurt. isn’t that how we re-write the history books? Another reason for cameras in secure areas of the prison, to watch the guards and other contractors, but as long as the guard union gives money to elected officials it will never happen. An FBI investigation into the matter still continues. Even progressive icon FDR knew that unionized labor in the public sector was a bad idea. For once he was right about something.